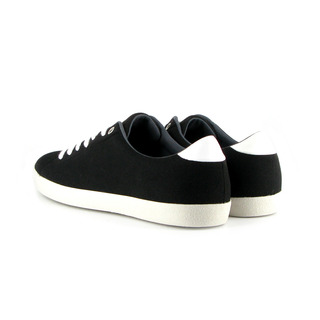 The Canada Sneaker is a simple and stylish black/white shoe manufactured by Vegetarian Shoes. 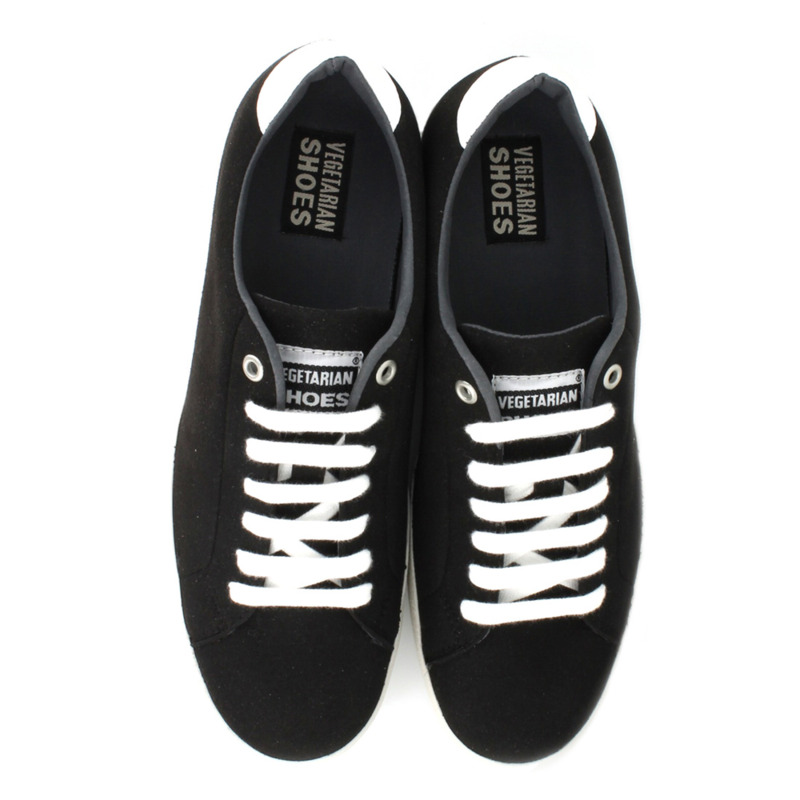 Of course, this shoe is vegan as well! The shoe is made with "Vegetan Fake-suede micro-fibre" - a soft, flexible and breathable material. Attention, it is not water-resistant! We recommend to proof it with a spray-on waterproofer. If they're dirty you can clean them with a brush or a damp cloth. The inner lining is made of a soft, hard-wearing, moisture absorbing and breathable material. 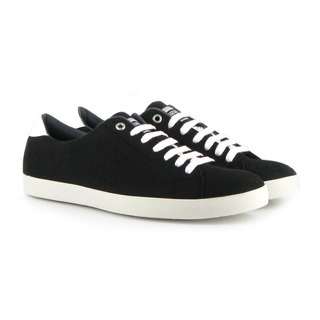 It is also used to pad the insole, tongue and collar. You won't want to take these shoes off!